Edward Jones Dome, Convention Center, St. Louis Cardinals Baseball, Gateway Arch, Washington Avenue Entertainment District, Windows on Washington, Flamingo Bowl, Laclede's Landing, Lumiere Casino, Scottrade Center, MX Movie Theater, City Museum, Gateway International Raceway, and the St. Louis Zoo in Forest Park! 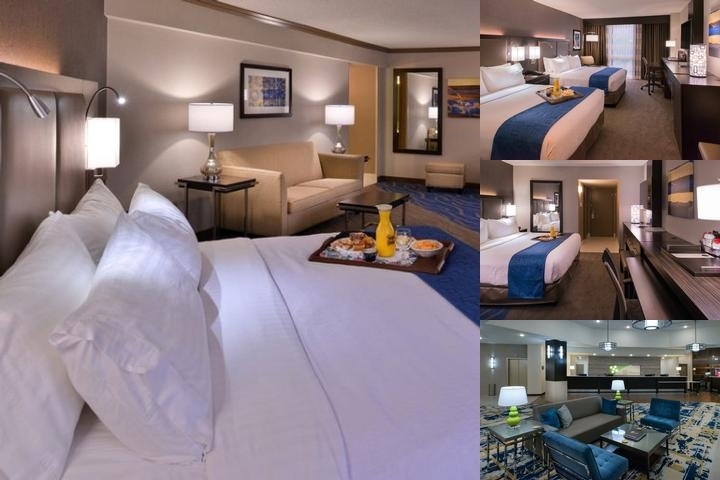 Conveniently located in downtown St. Louis, adjacent to the Convention Center, Edward Jones Dome and the Washington Avenue Entertainment District. Our oversized rooms have recently been totally renovated and feature FREE HIGH SPEED INTERNET. Guests enjoy the complimentaty use of our heated pool and fitness room, as well as, 24 hour business center. Additional amenities include complimentary: local phone calls, in room iron and ironing board, USA Today newspaper, hair dryer and shuttle service to the Downtown area.Room Service is available in additipon to Breakfast Service at the Garden court Cafe and Lunch, Dinner and Late night dining at the 9th Street Bar and Grill. A 24 hour convenience market located on property. Motorcoach parking is available onsite. Our pool is open from 10:00 AM til 10:00 PM. Indoor pool in our cabana themed atrium with pool, side tables, & privacy lounges. Local Shuttle Info: Most Taxis service the airport and can be obtained rapidly from the transportation desk. One way is typicality $30.00. Uber active in St.Louis. Our breakfast is served as an all you can eat buffet. It cost $10.95 per person. Menu items include: bacon, eggs, fruit, biscuits/gravy, cereals, bagels, etc. Complimentary Wifi in all guest rooms & public spaces. Below are the meeting, banquet, conference and event spaces at Holiday Inn St. Louis Downtown Convention Cente. Feel free to use the Holiday Inn St. Louis Downtown Convention Cente meeting space capacities chart below to help in your event planning. Hotel Planner specializes in St. Louis event planning for sleeping rooms and meeting space for corporate events, weddings, parties, conventions, negotiated rates and trade shows. 142 x 49 x 15 Ft.
rental fees may be discounted or waived depending on F&B amounts. In general any amounts over $2,000.00 we will waive the rental fee. We have an agreement with an outside AV contractor to provide AV at 25% below lowest bid. 32 x 49 x 15 Ft.
37 x 49 x 15 Ft.
41 x 49 x 15 Ft.
49 x 24 x 10 Ft.
28 x 24 x 10 Ft.
50 x 30 x 50 Ft.
32 x 49 x 12 Ft.